Inspired Spaces North was such a big hit with Prolific North readers in 2016 that it's back and bigger than ever for 2017. We proved last year that creative workspaces are important to all of us and we saw all sorts of entries to support this... from converted horse boxes in fields to state-of-the-art facilities at MediaCity, there were literally no limits. The digital sector is flying - but how do you get your own startup off the ground? Brabners' Nik White explainsThis year we are calling on anyone who has designed, works in, worked on or who regularly visits a truly inspiring workspace to come forward and tell us what they think makes them so fabulous. And this year, entries must include a video of the workspace - whether professionally made or simply put together on a smartphone. 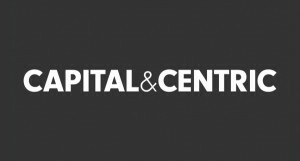 Working with Prolific North and Active Profile, Capital & Centric has once again joined the team as headline sponsor, with returning partners, Brabners and Zut Media, and new for this year, Sheila Bird Group and GVA. Our judges will select the top spaces in the North, which will be profiled on the Prolific North website throughout September and October. Then, in another new feature for 2017, we will open a public vote to whittle our finalists down to a Top 10 Inspired Spaces in the North, which will be announced at our wrap party in November. We are asking for all entries to be submitted by Friday 7th July so put your thinking caps on and be creative! Qualifying offices must be located in either Manchester, Merseyside, Cheshire, Lancashire, Cumbria, Yorkshire, Northumbria, Durham, Northumberland, Tyne and Wear and Humberside. If you have any questions or queries relating to your submission please email carrie.allen@activeprofile.co.uk.